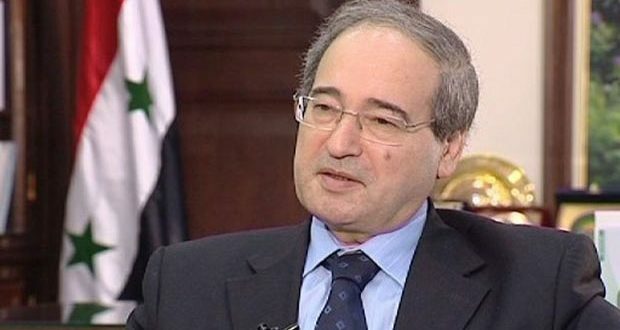 Damascus, SANA – Foreign and Expatriates Ministry said that France is not eligible to play any role in the peace process in Syria as long as it provides support to terrorism and its hands are stained with Syrian blood, reaffirming the Syrian state’s rejection of France’s hostile attitudes and threats which aim at exerting more political pressure on the Syrian sovereignty. The Ministry sent a letter to the UN Secretary-General and President of the UN Security Council in response to statements by the Permanent Representative of France to the UNon February 7, 2018, the Ministry noted that France has never stopped its policy in circulating allegations and lies which lack credibility through its letters whose main objective is to distort facts and protect Jabhat al-Nusra terrorist organization which was designated by the UNSC as al-Qaeda’s branch in Syria. “Since the very beginning of the crisis, France has been the spearhead of supporting terrorism and terrorist organizations in Syria, topped by Jabhat al-Nusra and its affiliated groups,” said the Ministry, adding that the truth about the financial support provided by the French government was video- and audio- recorded by the media. “The Syrian Arab Republic urges the UN Security Council to put an end to France’s practices which undermine the credibility and reliability of the UNSC, violate its resolutions and defy the UN’s Charter, in addition to protecting terrorists inside the Council and violate the role France should play as a permanent member state of the UN Security Council,” the Ministry concluded.